Digital holograms - 3D images recorded using lasers - may be our best bet for finding alien life, scientists say. No probe since NASA's Viking program in the late 1970s has explicitly searched for extraterrestrial life. Rather, the focus has been on finding water. One of Britain’s most famous prehistoric monuments - Avebury in Wiltshire – may be substantially more ancient than previously thought. Investigations within the UNESCO World Heritage designated stone circle - the largest in Britain - have revealed a hitherto unknown, and probably very early, series of ancient standing stones, are arranged, not as a circle, but as a 30 metre by 30 metre square. It is believed to be the first prehistoric "stone square" ever discovered – in Britain or continental Europe. It is conceivable that the newly discovered monument, which would have originally consisted of around 17 standing stones, was built up to a thousand years before both Stonehenge’s and Avebury’s surviving stone circles. Most of the newly discovered stones (or in some cases the holes they had stood in) had been buried (or, in the case of stone holes, filled in) at some stage in prehistory – or, more probably, in mediaeval or early modern times. What’s more, at the centre of the square, archaeologists, re-analysing pre-war archaeological records, have discovered the remains of a substantial Neolithic timber building – constructed in mid-fourth millennium BC style. 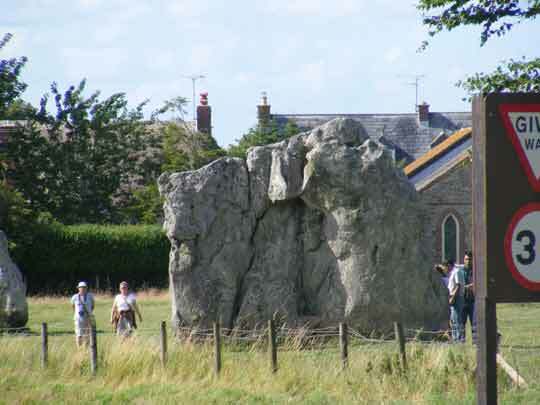 That would make the ten-metre-long, six metre wide building the oldest feature yet found at Avebury. It would also raise the possibility that the stone square, constructed around it, is equally old or was built slightly later but while the building was still standing (i.e., up to a few hundred years later). The sides of the building and the sides of the stone square are aligned with each other – so a relationship between the two is likely. If the building does indeed date from some five and a half thousand years ago, the discovery helps push back the date of the origins of Avebury by up to a thousand years. If the newly discovered stone square also dates to the fourth millennium BC, then it would potentially be the oldest standing stone complex in England – and around the same age as the oldest ones in Scotland. What’s more, the square shape of the newly revealed early Avebury standing stone enclosure is totally unique – indeed without parallel anywhere. It is likely that both the rectangular building and the stone square surrounding it were of religious or ceremonial significance – but so far, the archaeologists have found no clues as to the precise nature of any ritual or ceremonial activities that may have taken place there. The early date for the stone square (and the building it appears to enclose) is also supported by two other pieces of evidence from Avebury. Both the site of the timber building and the stone square itself were in the centre of a 100 metre diameter stone circle (in the southern half of Avebury) which was probably built at a later date – perhaps in or by the mid-third millennium BC. A second identical stone circle was erected, presumably at around the same time, in the northern half of Avebury. Significantly a group of three massive standing stones stood at the centre of that northern circle – and has been scientifically dated to somewhere between around 3500 and 2800BC. The stylistic dating of the southern circle’s timber building and the scientific dating of the northern circle’s central standing stones both point to very early ceremonial activity at the centre of what would eventually become Avebury’s still surviving northern and southern stone circles. Additional support for an early date for the newly discovered timber building and stone square is also provided by fragments of pottery all dating from between 3600 BC and 2800 BC found many years ago in that specific area. The discovery of a stone square, arguably pre-dating most British stone circles, raises the possibility that other similar monuments were built in the fourth millennium BC – but have simply not been discovered. The find therefore has the potential to completely rewrite the evolution of standing stone complexes in Britain. The Avebury UNESCO World Heritage Site, cared for by the National Trust, contains three stone circles – including Europe’s largest which is 330 metres across and originally comprised around 100 huge standing stones. A research team led by the University of Leicester and the University of Southampton used a combination of electrical resistivity, ground-penetrating radar and archival research to investigate the site. Their work was funded by the Arts and Humanities Research Council and supported by the National Trust, as well as archaeologists from the University of Cambridge and Allen Environmental Archaeology. “The new research pushes back the origins of Avebury to an earlier period and reveals the remarkable complexity of the history and construction of the complex. The work demonstrates just how much still awaits discovery in and around this world-famous site,” said Dr Nick Snashall, National Trust archaeologist at Avebury. Archaeologist Dr Mark Gillings of the University of Leicester, said: “Our research has revealed previously unknown megaliths inside the world-famous Avebury stone circle. "We have detected and mapped a series of prehistoric standing stones that were subsequently hidden and buried, along with the positions of others likely destroyed during the 17th and 18th centuries. Together, these reveal a striking and apparently unique square megalithic monument within the Avebury circles that has the potential to be one of the very earliest structures on this remarkable site.”[/st_text][/st_column][/st_row][st_row id_wrapper="elm_59591867ca42d" ][st_column span="span4"][st_image image_file="http://asahiramen.com/wp-content/uploads/2017/07/avebury55.jpg" image_size_wrapper="" image_size="full" id_wrapper="st_image_153f9a1863b36c8705b0fc56950110ee" ][/st_image][/st_column][st_column span="span4"][st_image image_size_wrapper="" image_size="" id_wrapper="" ][/st_image][/st_column][st_column span="span4"][st_image image_size_wrapper="" image_size="" id_wrapper="" ][/st_image][/st_column][/st_row][st_row id_wrapper="elm_5952e1dd17bc0" ][st_column span="span12"][st_text id_wrapper="st_text_9b74fe889455eddfee32116c3dc972a2" ]The footage, uploaded to YouTube by the channel Section 51 2, shows a crowd of tourists looking towards the wonder of the ancient world, while three bizarre triangular objects hover above. The video is one of the clearest ever captures of alleged UFOs, as critics often claim films of supposed alien craft are blurred or too shaky to watch. It even shows close ups of the upside down pyramids, looking up from the base of the pyramids, as they appear to hover and rotate above three of the relics. Section 51 2 includes no real details about the alleged sighting, but says in subtitles on the video that it was filmed in April 2016, and the UFOs were present for four hours. An article accompanying the video on the Section 51 2 website makes no further reference to the alleged sighting in the video. It instead discusses the Tulli Papyrus, which is an alleged ancient document which suggests that flying saucers, described as "circles of fire", appeared over the pyramids in around 1500 BC It also points to an "ancient astronauts" conspiracy theory which claims that the pyramids were built by our ancestors with the help of an advanced race of aliens that visited Earth thousands of years ago. However, it is likely the video is a clever hoax made using CGI technology. Critics have pointed out if this actually happened it would likely have made world TV news and not been consigned to one website. Earl Verity posted on YouTube: "I wish it were true but this is not. would have been the biggest news story of mankind!" User Kalvash posted on YouTube: "So it was there for several hours and this is the only guy to record and upload it?" And one called Teflon12110 said: "Good CGI and light rendering but bystanders are not fascinated enough with it as well as the resolutions are off from the 'ufo' in comparison to the pyramid. "Section 51 2 has been outed by serious UFO investigators and hoax busters as regularly using GCI effects to add extraordinarily clear-looking UFOs to its videos. The website and channel features on many UFO investigators "blacklists" of so-called UFO sites to avoid because of its alleged use of hoaxes, which "discredit genuine research". The 'about section' on its website suggests it broadcasts genuine footage, saying: "Sometimes we have no words to explain what we see, sometimes we can see that it's just hoax. "The purpose of Section 51 is to make you ask yourself these questions about UFOs... Many UFO reports from soldiers exist all around the world but some people want to hide the truth. "Section 51 shows you UFO incidents reported by people and most of the time by soldiers in wartime." But there is a disclaimer on its YouTube page, which suggests otherwise.It states: "These videos are for entertainment purposes only. "We cannot authenticate all videos. Viewers are free to make their own conclusions." Scott Brando, who runs hoax-busting website ufoofintererst.org, said the channel "clearly" broadcast out and out hoaxes which had been digitally made. Express.co.uk has contacted Section 51 2 a number of times over whether the videos are genuine but is yet to receive a response. 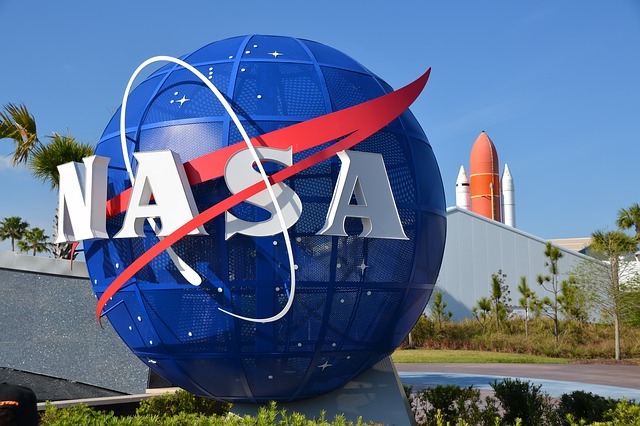 If you’re interested in taking a tour through NASA history, head over to the YouTube page of the Armstrong Flight Research Center, located at Edwards Air Force Base, in southern California. According to Motherboard, the agency is in the middle of posting hundreds of rare aircraft videos dating back to the 1940s. In an effort to open more of its archives to the public, NASA plans to upload 500 historic films to YouTube over the next few months. More than 300 videos have been published so far, and they range from footage of a D-558 Skystreak jet being assembled in 1947 to a clip of the first test flight of an inflatable-winged plane in 2001. Other highlights include the Space Shuttle Endeavour‘s final flight over Los Angeles and a controlled crash of a Boeing 720 jet. The research footage was available to the public prior to the mass upload, but viewers had to go through the Dryden Aircraft Movie Collection on the research center’s website to see them. The current catalogue on YouTube is much easier to browse through, with clear playlist categories like supersonic aircraft and unmanned aerial vehicles. You can get a taste of what to expect from the page in the sample videos below. A police helicopter may have caught sight of a UFO flying over the Bristol Channel. Some have suggested it could be a balloon or a Chinese lantern, but police have ruled out both ideas because of the heat and movement. The mystery craft was said to be flying against the winds at the time and was said to be undetected by air traffic control. “It’s difficult to judge the size but we filmed it for just over seven minutes,” the police twitter account stated. It is understood the footage was captured over Bristol on Saturday, September 17, and shared online by NPAS St Athan, the National Police Air Service which is based in South Wales, more than a week later. They explained to their Twitter followers that the footage, which says it was 8.30pm, was actually taken about 9.30pm when it was pitch dark. In February a woman claimed she captured proof of alien life just a few miles away from where the police helicopter was flying. Fiona Powell was walking her children with friends along the sea front on Severn Beach when she took a photo of the view. But on closer inspection, the corner of one of the photos contained what appeared to be a flying saucer. The 41-year old said that before the incident she had been slightly dubious about the existence of extra-terrestrials, but that this close encounter was now giving her pause for thought. Later that month, a Bristol star gazer believed he photographed a UFO. Caught on a Cannon 650D camera with a 70-300mm telescopic lens, sky-watcher Louis Read thought he may have snapped images of an extraterrestrial mothership near Jupiter’s moon, Europa. The photographs were picked up by American UFO fanatics Secure Team 10, and turned in to a YouTube video which has been watched almost 250,000 times. Chairman of the Cornwall Research Group David Gillham said new technology such as thermal and infrared cameras were leading to more spotting of UFOs than ever before. He said there are hundreds in the South West area every year. He said: “They theory is they (UFOs) are all around all the time but we can’t see them. Infrared and thermal cameras allow us to see things that are working in a different light sphere. 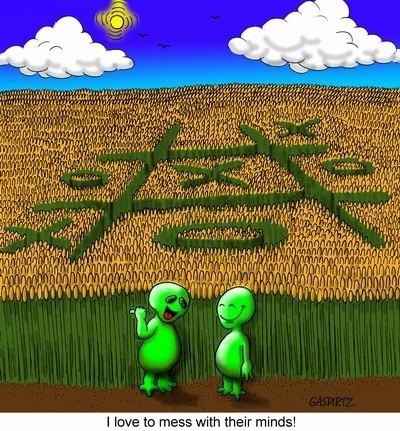 Crop circles – now they’re a crime. Wiltshire Police has officially outlawed the phenomenon, issuing a public decree this month. That could make for some interesting arrests – last year an off-duty Wiltshire policeman reportedly saw aliens inspecting a local crop formation, according to national newspaper reports. Within the last few days the force issued a press release, which stated: “With summer well and truly under way, we have seen an increase of crop circles appearing across the county. “They might seem harmless but they actually have a huge negative impact on the hard-working landowners and farmers whose crops are damaged. The force has urged all farmers and landowners to report crop circle formations using the non-emergency 101 number, “so they can be recorded”. The force added: “Often immediately after a crop circle appears, individuals will arrive with a drone to photograph it. If a crop circle is created on your land, Wiltshire Police advise informing the crop circle community “if you decide to allow – or not allow – access to the general public, and if you intend to cut the circle out”. One spectacular formation appeared in a field in West Woodhay in 2001, followed by reports of strange lights in the evening sky. That formation, dubbed the cosmic serpent by enthusiasts, spanned 11 tractor tram lines and was one of the largest seen in the UK. It immediately attracted hundreds of sightseers and simultaneously earned the ire of landowner Harry Henderson, who said at the time: “Some say it’s to do with aliens but it’s not – it’s a team from Holland. However, some formations are not so easily explained, displaying amazingly intricate ‘basket weave’ patterns; brittle stalks being inexplicably bent rather than broken; nodes rent by steam holes as if from a mysterious heat source and genetic changes in the affected crop reportedly recorded. Physics World magazine has even speculated that the high-tech creators of such formations are somehow using microwaves generated by a device called a magnetron, directed by GPS satellite. Digital holograms – 3D images recorded using lasers – may be our best bet for finding alien life, scientists say. No probe since NASA’s Viking program in the late 1970s has explicitly searched for extraterrestrial life. Rather, the focus has been on finding water. Saturn’s icy moon Enceladus has a lot of water, but even if life does exist there in some microbial fashion, the difficulty for scientists on Earth is identifying those microbes from 790 million miles away. “It’s harder to distinguish between a microbe and a speck of dust than you’d think,” said Jay Nadeau, research professor at California Institute of Technology in the US. Enceladus has enormous geysers, venting water vapour through cracks in the moon’s icy shell, regularly jet out into space. When the Saturn probe Cassini flew by Enceladus in 2005, it spotted water vapour plumes in the south polar region blasting icy particles at nearly 2,000 kilometres per hour to an altitude of nearly 500 kilometres above the surface. Scientists calculated that as much as 250 kilogrammes of water vapour were released every second in each plume. Since those first observations, more than a hundred geysers have been spotted. Water blasting out into space offers a rare opportunity, said Nadeau. While landing on a foreign body is difficult and costly, a cheaper and easier option might be to send a probe to Enceladus and pass it through the jets, where it would collect water samples that could possibly contain microbes. Some strategies for demonstrating that a microscopic speck is actually a living microbe involve searching for patterns in its structure or studying its specific chemical composition. “Looking at patterns and chemistry is useful, but I think we need to take a step back and look for more general characteristics of living things, like the presence of motion,” he said. 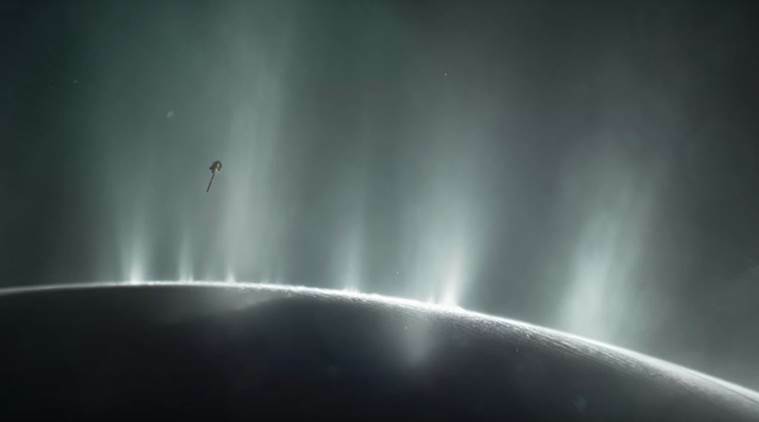 To study the motion of potential microbes from Enceladus’s plumes, Nadeau proposed using an instrument called a digital holographic microscope that has been modified specifically for astrobiology. In digital holographic microscopy, an object is illuminated with a laser and the light that bounces off the object and back to a detector is measured. This scattered light contains information about the intensity of the scattered light and about its phase – a property that can be used to tell how far the light travelled. With the two types of information, a computer can reconstruct a 3D image of the object – one that can show motion through all three dimensions. To study the technology’s potential utility for analysing extraterrestrial samples, researchers obtained samples of water from the Arctic, which is sparsely populated with bacteria. With holographic microscopy, Nadeau was able to identify organisms with population densities of just 1,000 cells per millilitre of volume, similar to what exists in some of the most extreme environments on Earth, such as subglacial lakes. That low threshold for detection, coupled with the system’s ability to test a lot of samples quickly (at a rate of about one millilitre per hour) and its few moving parts, makes it ideal for astrobiology, Nadeau said. The footage, uploaded to YouTube by the channel Section 51 2, shows a crowd of tourists looking towards the wonder of the ancient world, while three bizarre triangular objects hover above. The video is one of the clearest ever captures of alleged UFOs, as critics often claim films of supposed alien craft are blurred or too shaky to watch. It even shows close ups of the upside down pyramids, looking up from the base of the pyramids, as they appear to hover and rotate above three of the relics. Section 51 2 includes no real details about the alleged sighting, but says in subtitles on the video that it was filmed in April 2016, and the UFOs were present for four hours. And one called Teflon12110 said: “Good CGI and light rendering but bystanders are not fascinated enough with it as well as the resolutions are off from the ‘ufo’ in comparison to the pyramid.”Section 51 2 has been outed by serious UFO investigators and hoax busters as regularly using GCI effects to add extraordinarily clear-looking UFOs to its videos. But there is a disclaimer on its YouTube page, which suggests otherwise.It states: “These videos are for entertainment purposes only. 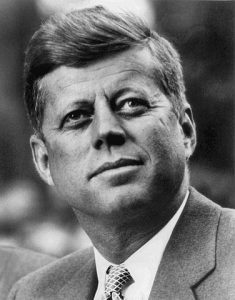 There are a great many stories about US presidents seeing UFOs. Only a couple of the stories actually have strong enough evidence to back up the fact a sighting took place. One case with a lot of supporting evidence involves Ronald Reagan who had two sightings that we are aware of. Both of Reagan’s UFO sightings occurred when he was the 33rd Governor of California (1967 – 1975). The first occurred on the night that Reagan was invited to a party that actor William Holden was having in Hollywood. A number of key personalities were invited. Two of them, comedian Steve Allen, and actress Lucy Ball both told the story of Reagan’s UFO encounter. The other Reagan sighting occurred in 1974 just before Reagan ended his second term as governor. The story was told by Air Force Colonel Bill Paynter who became the pilot of Reagan’s Cessna Citation jet plane following his retirement from the Air Force. Paynter added: “The UFO went from normal speed cruise to a fantastic speed instantly. If you give an airplane power, it will accelerate, but not like a “hot rod”, and that’s what this was like. Governor Reagan expressed amazement. I told the others I didn’t know what it was. The UFO went from a normal cruise speed to a fantastic speed instantly. If you give an airplane power it will accelerate – but not like a hotrod, and that is what this was like.